Niki Trefilova graces the February 2017 cover of ELLE Czech. 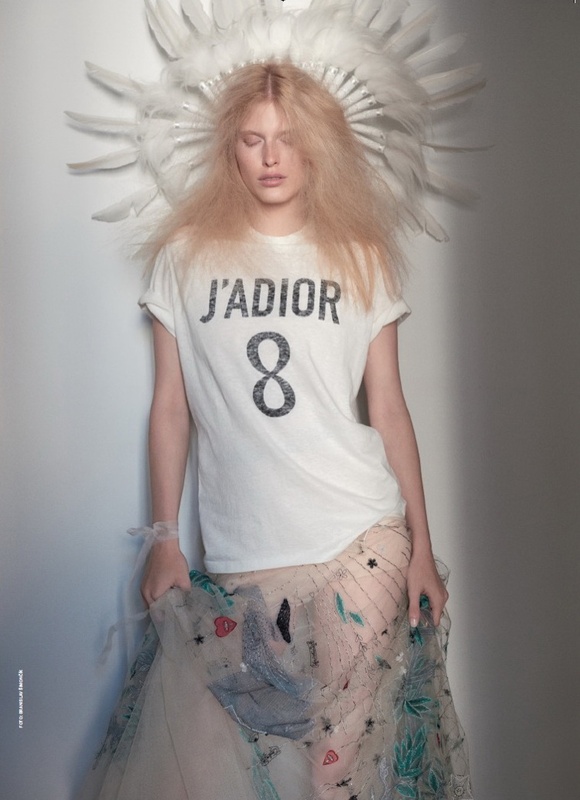 Photographed by Branislav Simoncik, the blonde beauty wears a t-shirt, corset top and tulle dress from Dior. In the accompanying spread, Niki models looks from the French label’s spring collection styled by Jan Kralicek. Marking creative director Maria Grazia Chuiri’s first designs for Dior, the line includes romantic dresses paired with sleek leather separates. “Niki Trefilova Poses in Dior’s Spring Styles for ELLE Czech.” Fashion Gone Rogue. http://www.fashiongonerogue.com/niki-trefilova-dior-elle-czech/.